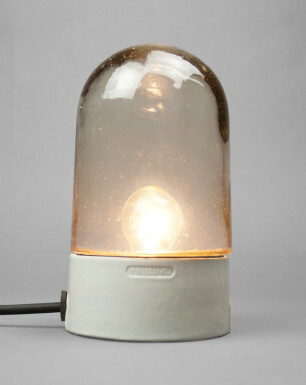 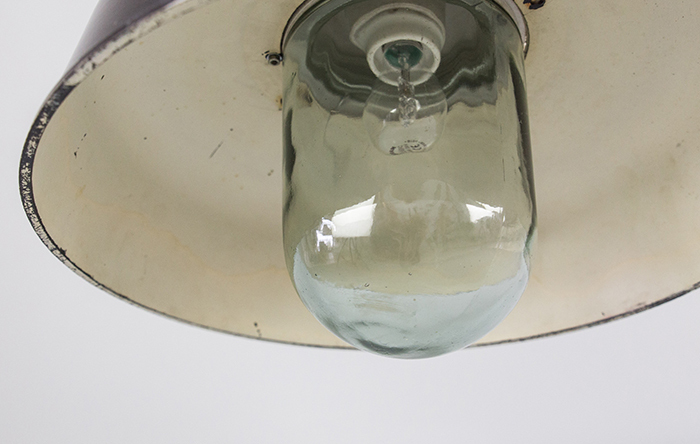 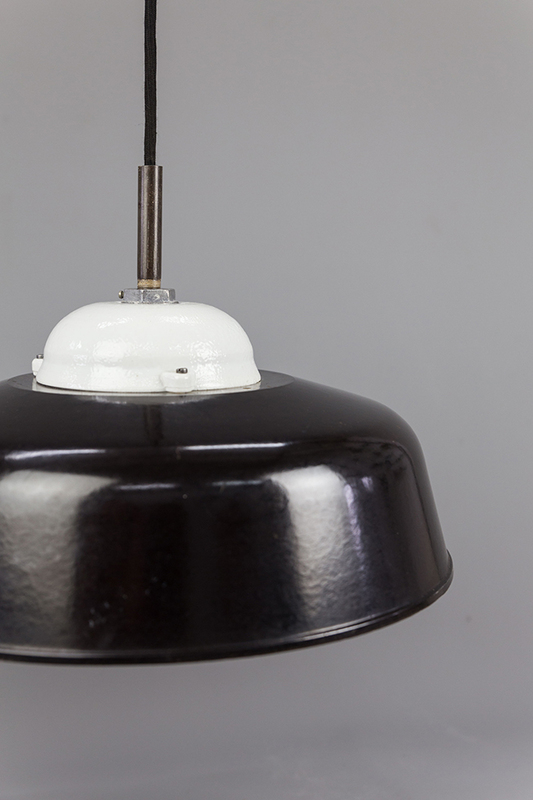 This rare, yet sophisticated lamp dates from the 1950s. 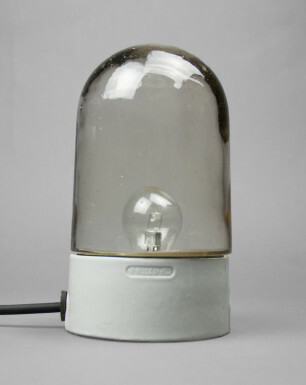 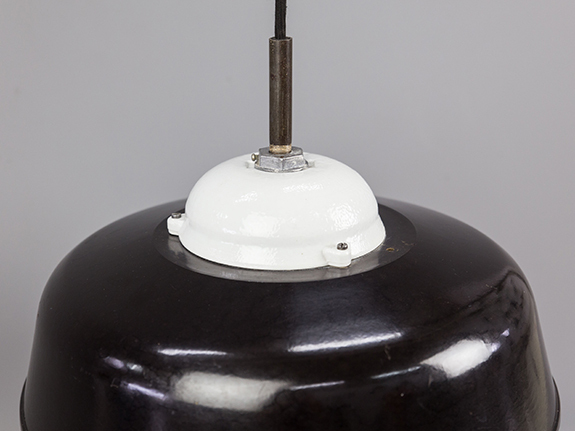 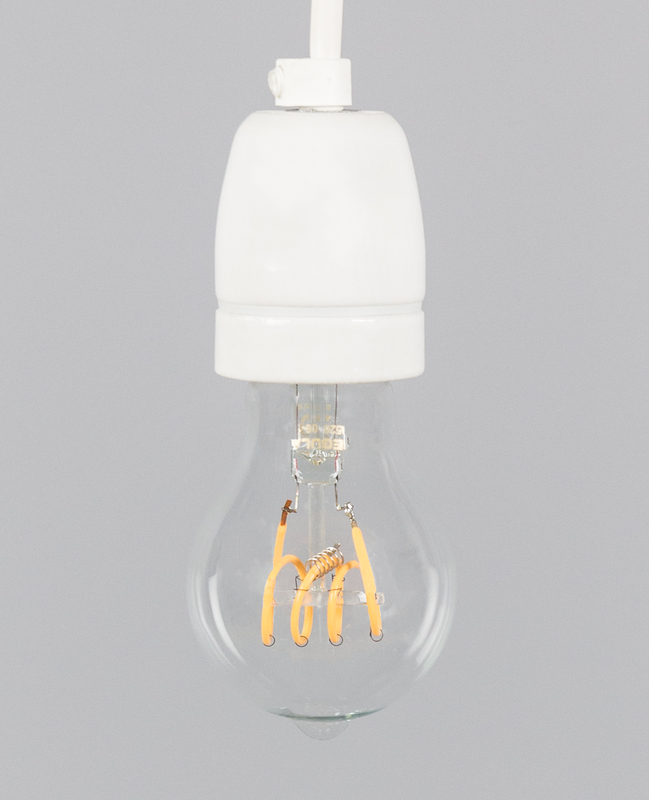 Although this item is related to the ‘True Oyster’, its pure and clean design is mostly distinguished by a unique bakelite shade. 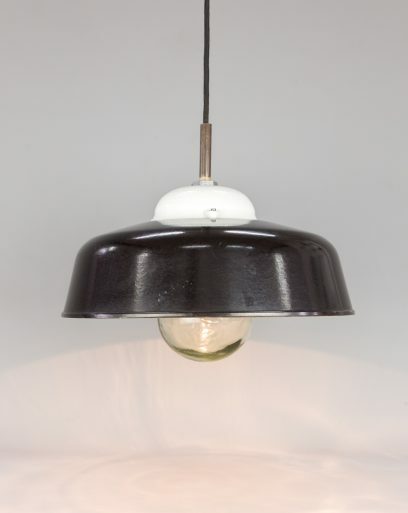 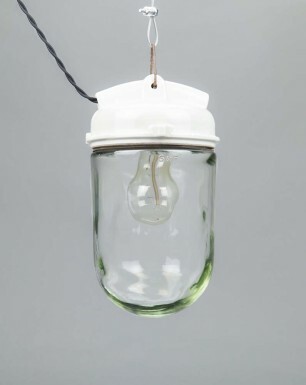 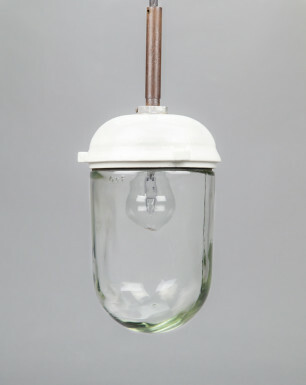 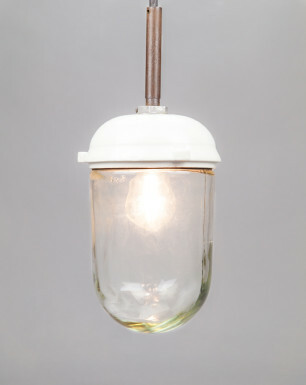 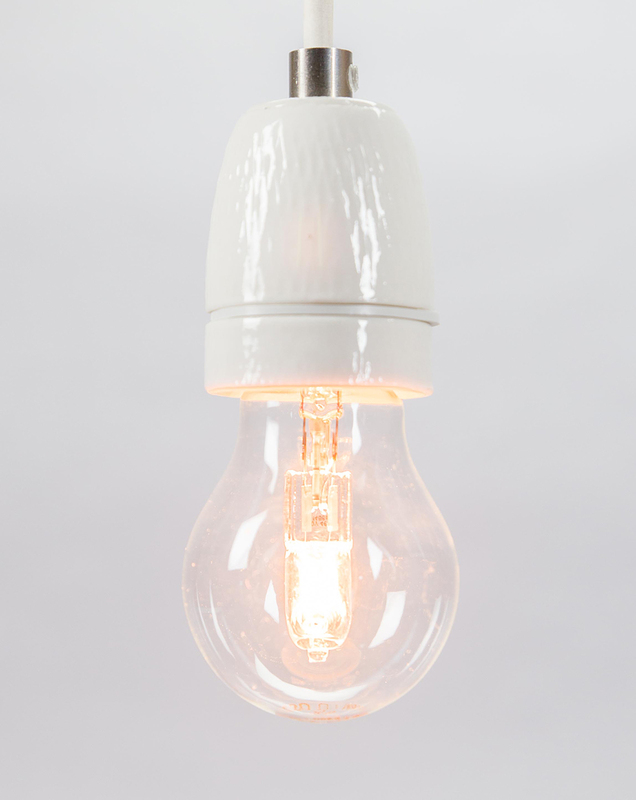 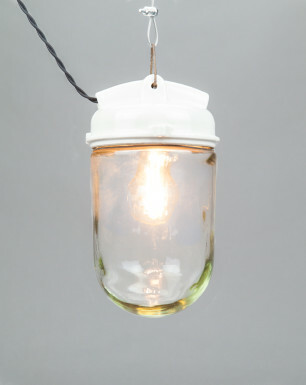 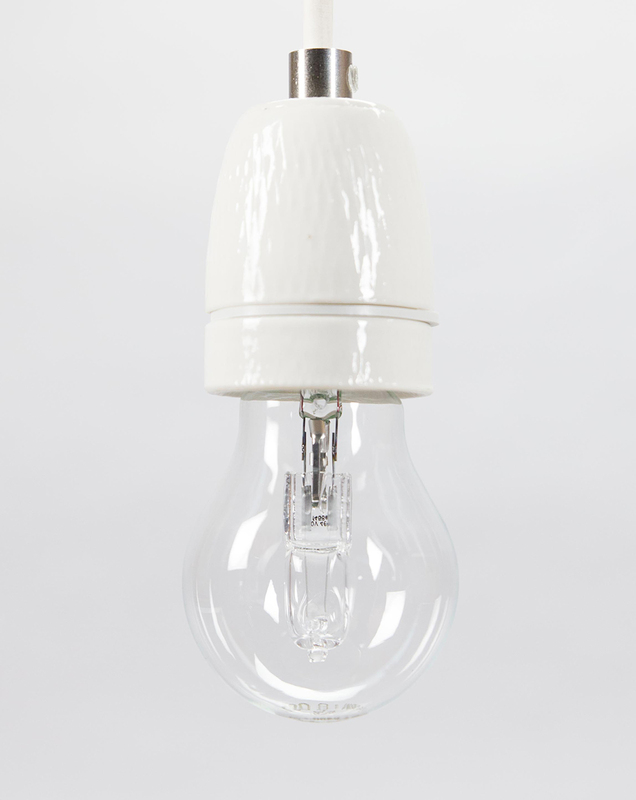 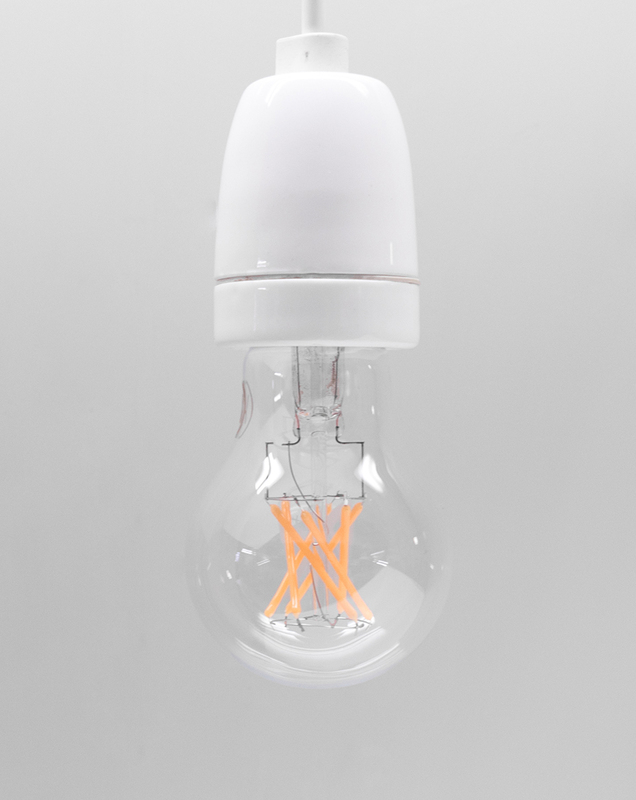 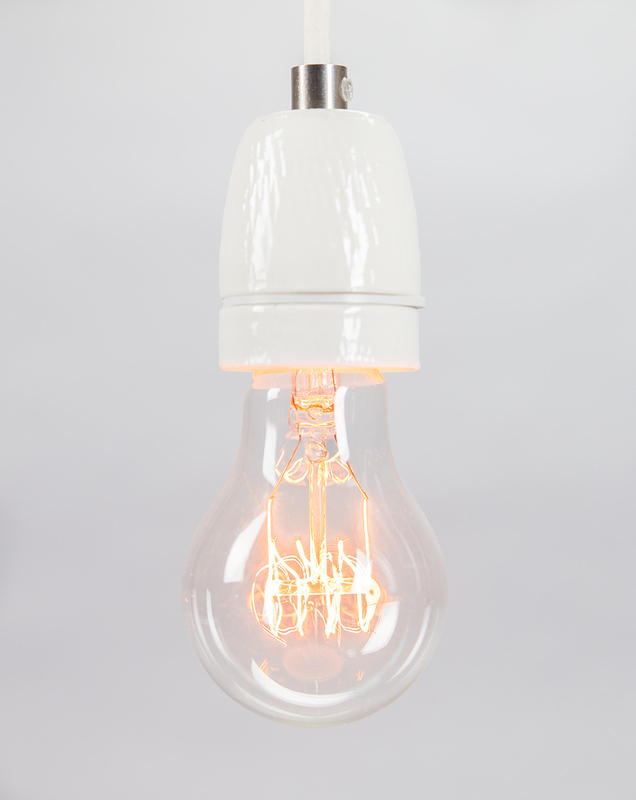 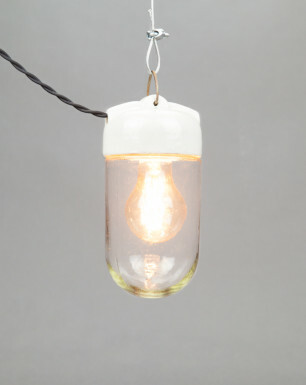 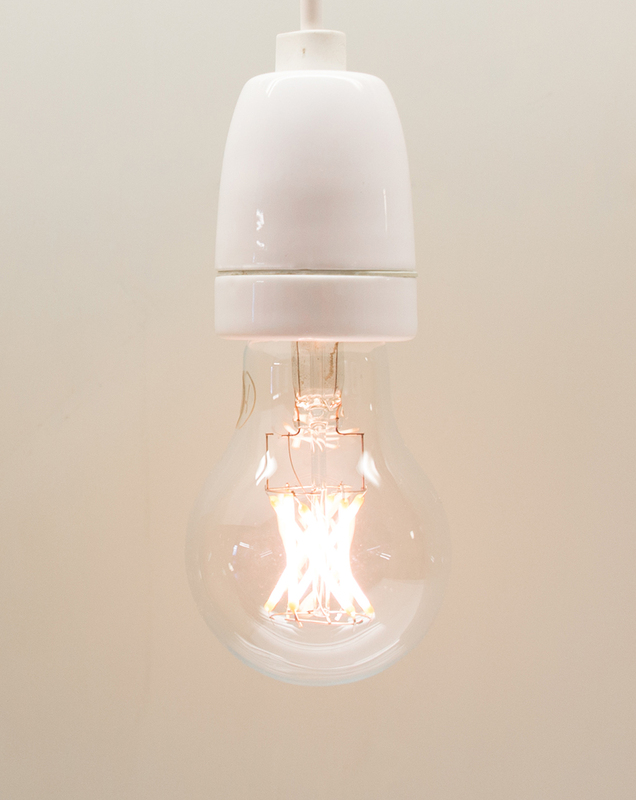 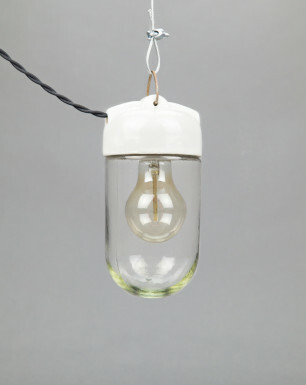 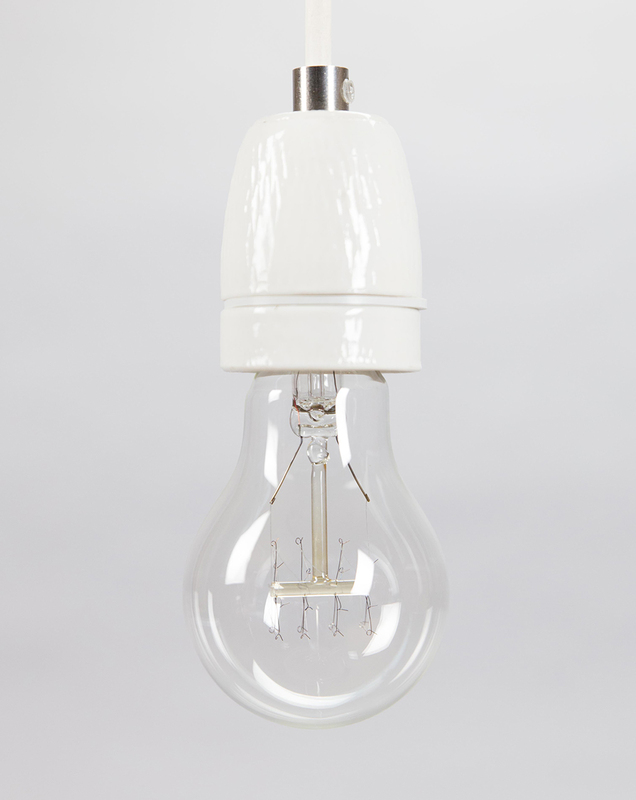 Besides the polished bakelite shade, it consists of a porcelain base with a hand-blown glass dome. 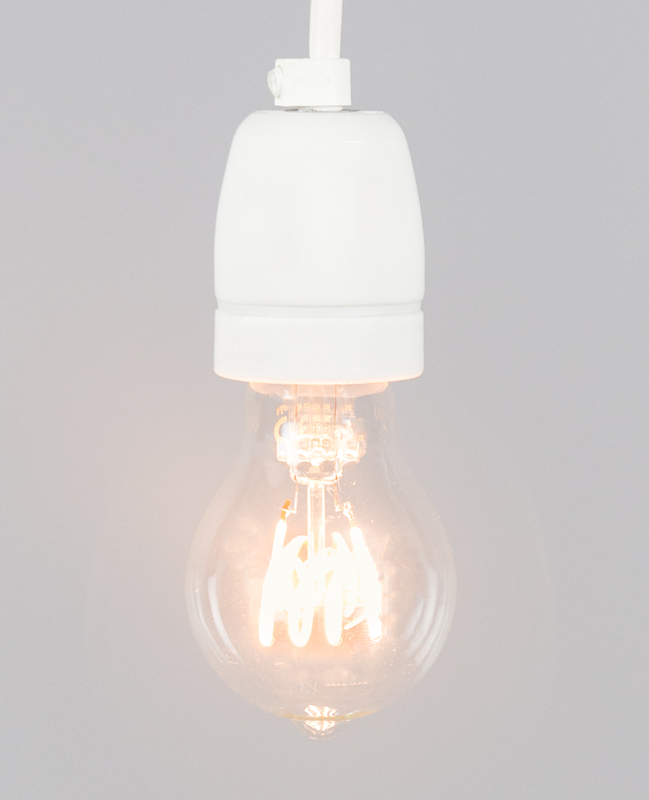 It is definitely one of our personal favorites. 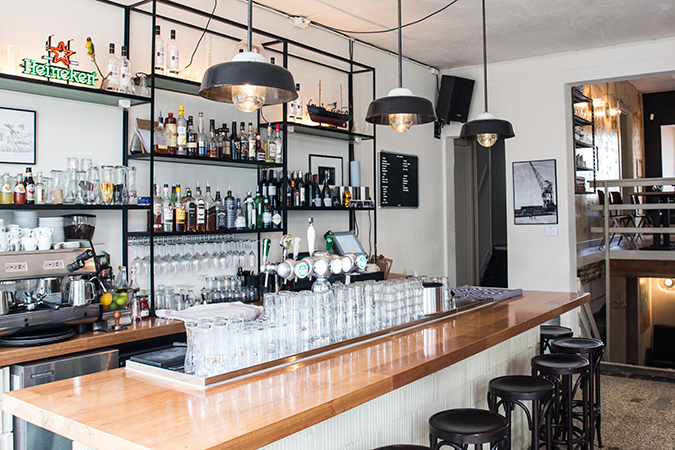 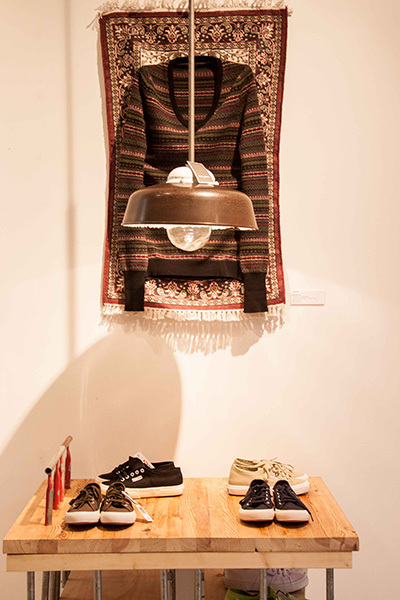 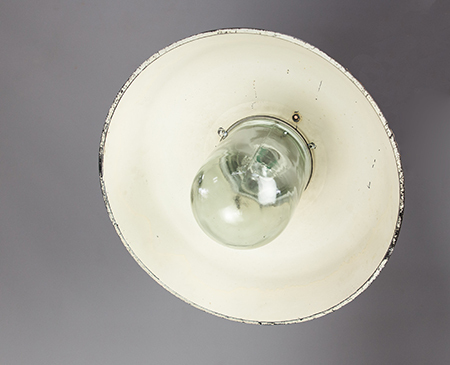 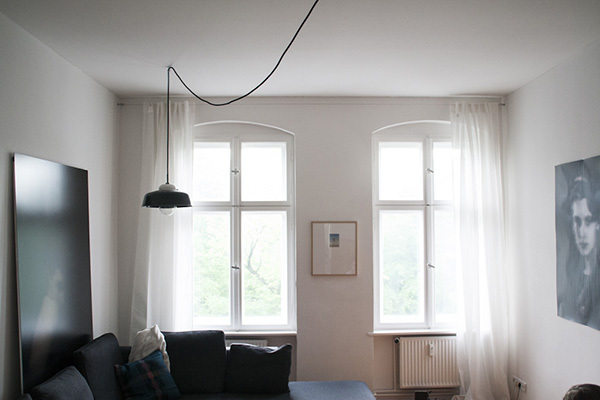 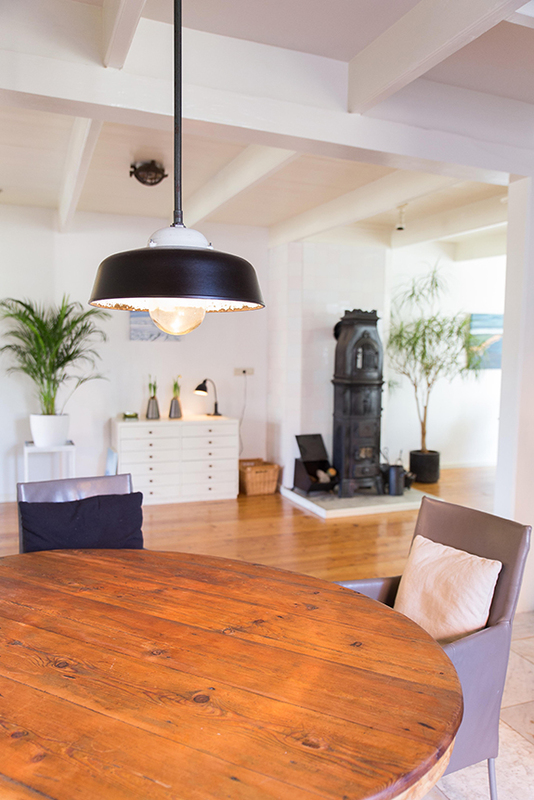 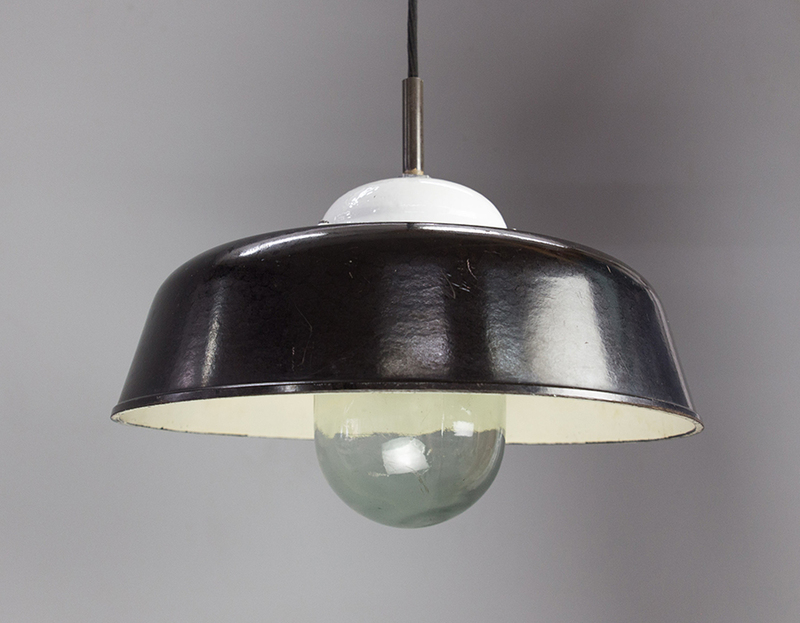 The lamp was salvaged from one of the prominent military complexes used during the cold war. 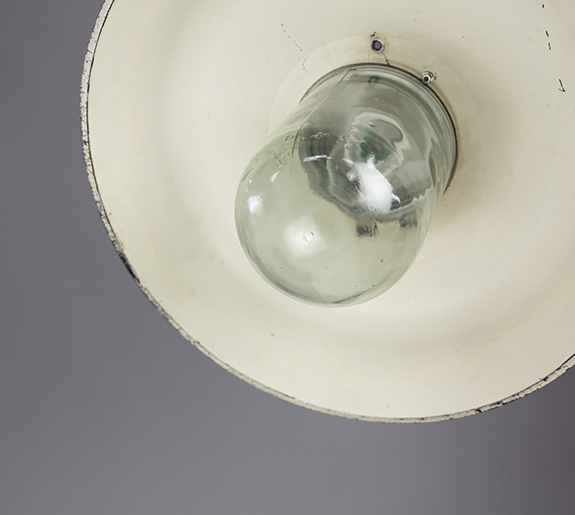 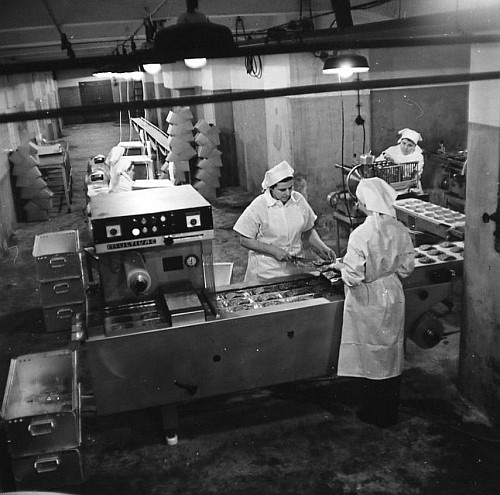 Around the 1960s, when this top-secret complex was fully operational, this lamp illuminated one of the ammunition storage sites.